As J. Crew comes to Canada the company held a launch party at the uber popular Yorkdale shopping mall. The high-profile New York-based brand is not only adored by Michelle Obama but by the world alike. I don't blame them, the style is classic and preppy. But was the Canadian welcome a warm one towards J. Crew? That is debatable! Regardless of the buzz and excitement, shoppers walked away with sticker shock or in some cases angry with their mailman. J.Crew's expansion into Canada was done with "raised merchandise prices by about 15 per cent in its Canadian store and on its new Canadian e-commerce site compared with those at its U.S. outlets. For online customers, taxes and duties raised the final price for orders in some cases by as much as 50 per cent compared with the U.S. site they previously ordered from,"reported Globe and Mail. Following price backlash, J.Crew took immediate action to calm the nasty forum buzz. The harsh reality is that a recent study showed that Canadians generally pay 20 per cent more at retail than Americans. Now, to whom do we write a complaint letter? The shopping fairy godmother? As J.Crew president and creative director Jenna Lyons explains, "The change in cost for merchandise purchased in our stores and online was necessary to keep pricing consistent with our new – and expanding – retail operations in Canada." The brand took further steps to soothe Canadian customers as noted by CTV News, "Starting Thursday (September 1), J. Crew will offer a flat $9.95 shipping fee for online shoppers but will continue to charge an average of about 15 per cent more in Canadian stores than in the U.S. for its attire." The début of J.Crew with a fête introducing Jenna Lyons to Canadian fashion insiders was a great success despite the controversy. As fashion editors and Toronto's style-set shopped the bright colors and Italian footwear, I couldn't help but obsess over their amazing art book selection! 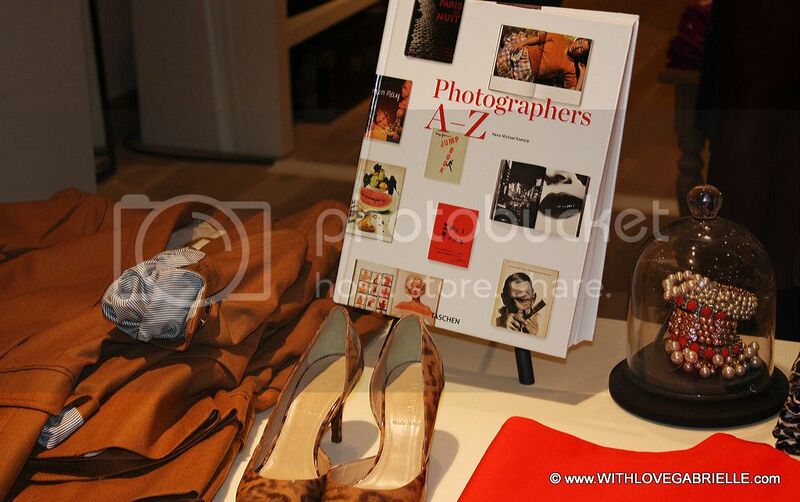 Aside from the killer store decor, J.Crew had an impressive repertoire of art books that were skillfully chosen. Was it an art critic who did the picking or a major art nerd? Regardless, it left a lasting impression. 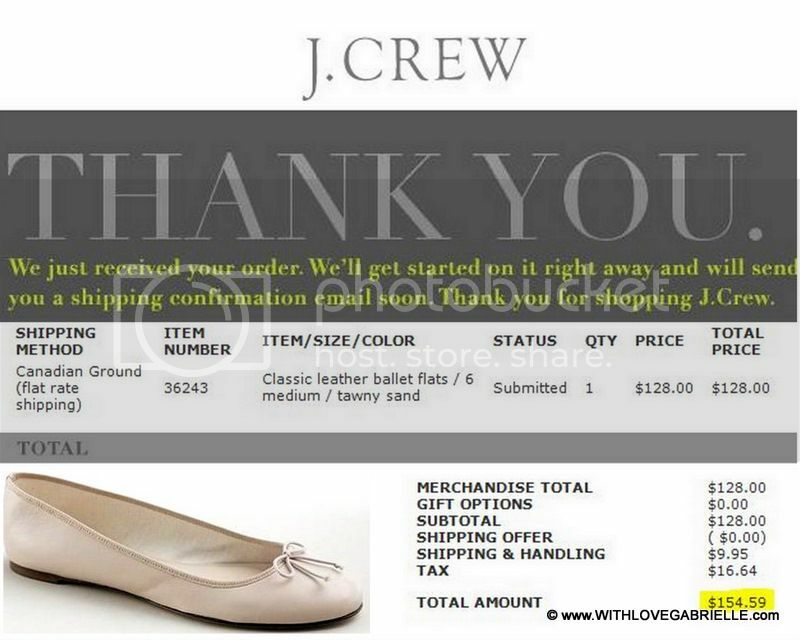 As for my personal experience with J.Crew online, it was typical. I spent more than my American neighbor would. I purchased a pair of classic leather ballet flats that cost $110 (US) in United States but cost $128 (US) on the Canadian site plus $9.95 shipping and $16.64 in taxes. As a result, I paid initial extra cost of $18 plus $26.59. Although there isn't much I can do other than to shop more when traveling to the United States, I do love the shoes.The pair has been worn non-stop, as you can see for yourself here and here.